Course Website: Official Website - Visit Old Sandwich Golf Club's official website by clicking on the link provided. 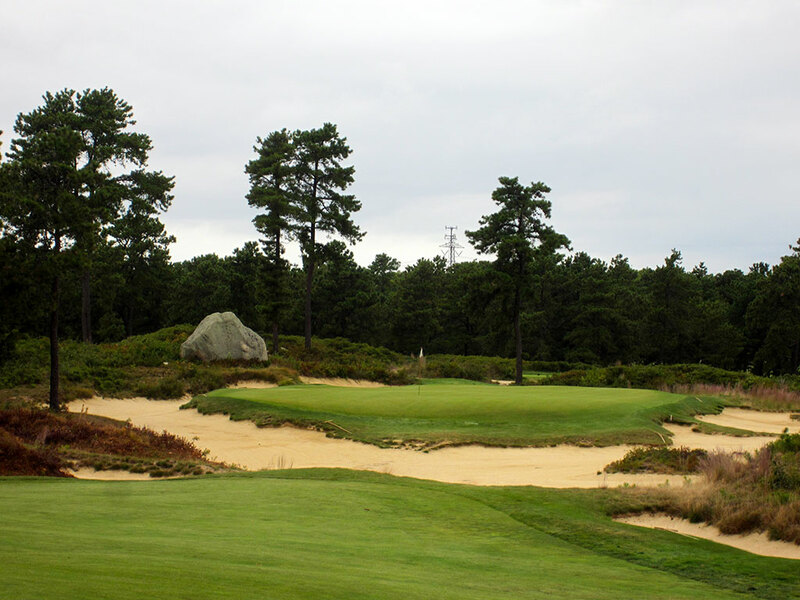 Accolades: Ranked 3rd in Massachusetts on Golf Course Gurus' Best in State list. 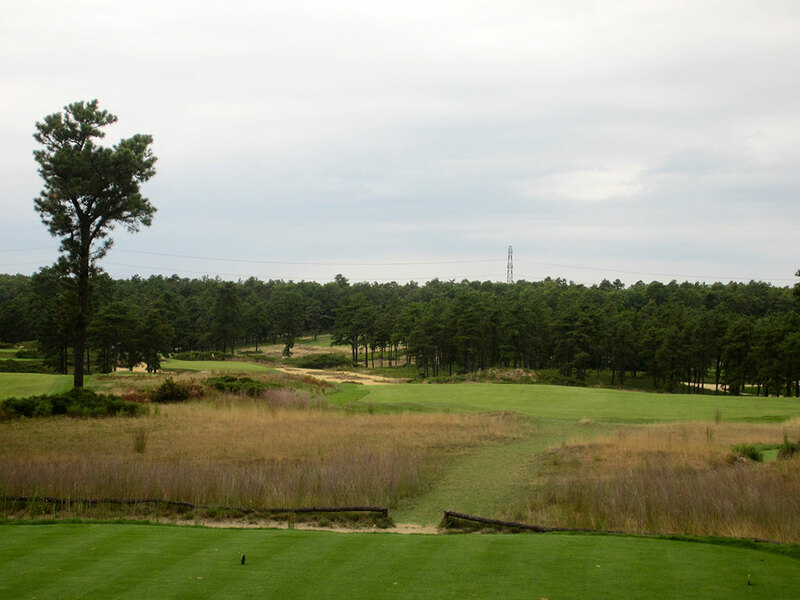 What to Expect: Old Sandwich is yet another masterpiece designed by the Ben Crenshaw and Bill Coore that managed to debut in Golf Digest’s Top 100 rankings in 2011, less than seven years after opening. Like many of the best courses across the country, and particularly on the east coast, caddies are provided and walking is encouraged. 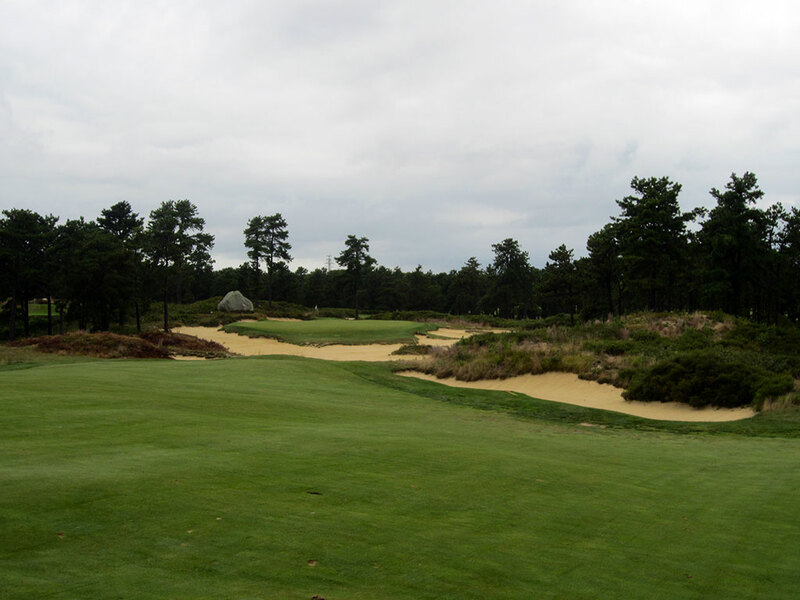 The exclusive course is typical of C&C designs; wide fairways, undulated greens, jagged edged bunkers, and par that doesn’t equal the typical 72. Setup to play firm and fast, the generous playing corridors reward precise placement that maximizes the contours of the course. The tightly shaved areas around the green generate an excellent test of finesse and often present a more difficult challenge for highly skilled players than bunkers do. There are several jaw dropper holes and you constantly feel engaged in the layout, challenge, and fun. The terrain is fantastic for golf and the property is located just two miles from the Atlantic Ocean. The practice facility is fantastic and the club features cottages on the property for guests to stay in while visiting. 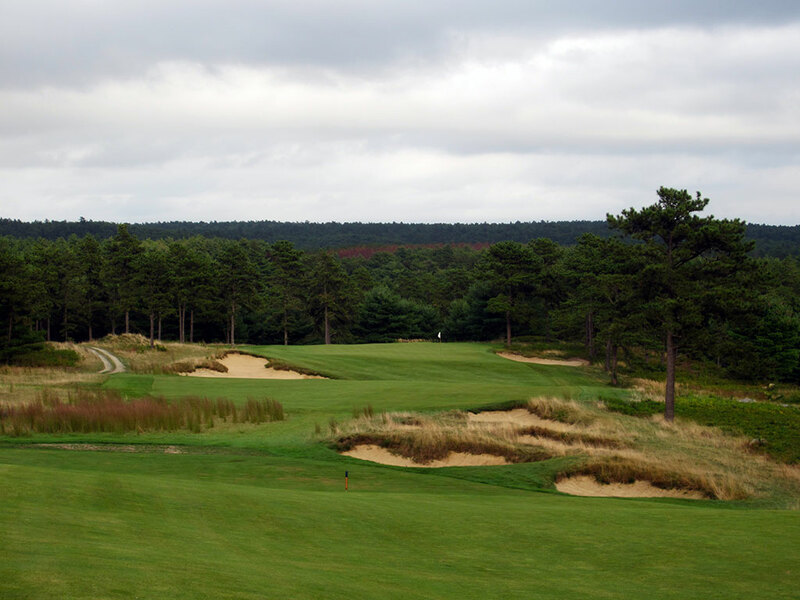 The course that Old Sandwich reminded me of the most was Dormie Club outside of Pinehurst, NC; another Coore/Crenshaw design. In the end, Old Sandwich is very much worthy of its Top 100 designation and will be revered for years to come. Signature Hole: 7th Hole – 391 Yard Par 4 – When I played the par four 7th I turned to my caddie and said, “This hole reminds me of Pine Valley.” My caddie’s response was, “You aren’t the first one to say that.” The attractive and heavily bunkered dogleg left features an island green surrounded by sand rather than water and is framed by fescue. The smart play is a long iron off the tee since you need accuracy more than length on this hole. Beauty and strategy is what makes up this hole; another great feature of C&C courses. 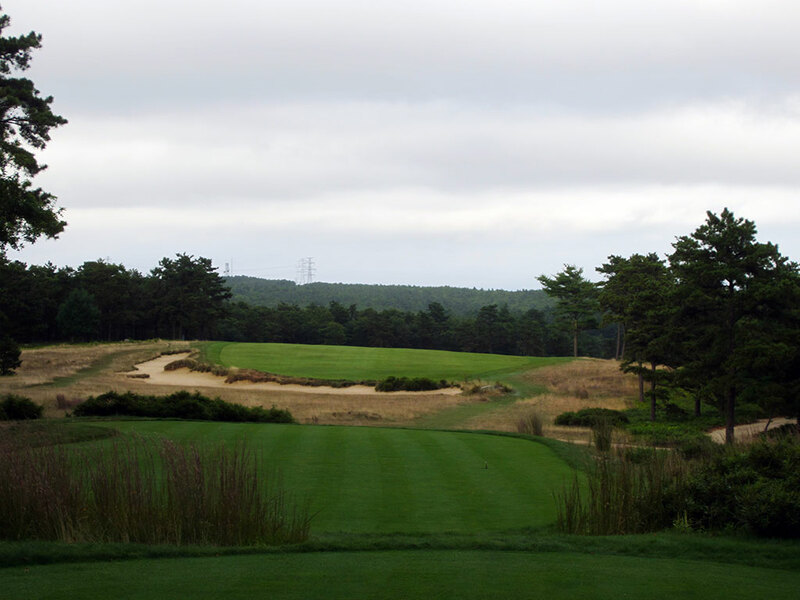 Best Par 3: 4th Hole – 238 Yards – Coore and Crenshaw are demanding with their first par three on the course and I love it. 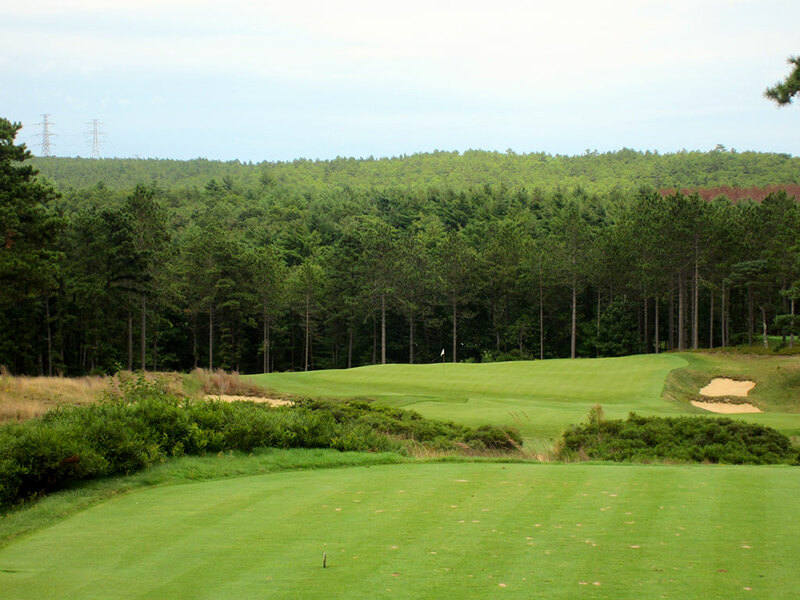 The tee offers miles of views across the tree tops found behind the large green. The right side of the hole hosts a pair of bunkers and the front of the green offers a wide fairway to run approach shots up. This is a fine one-shotter where pars will be a stiff challenge to earn. 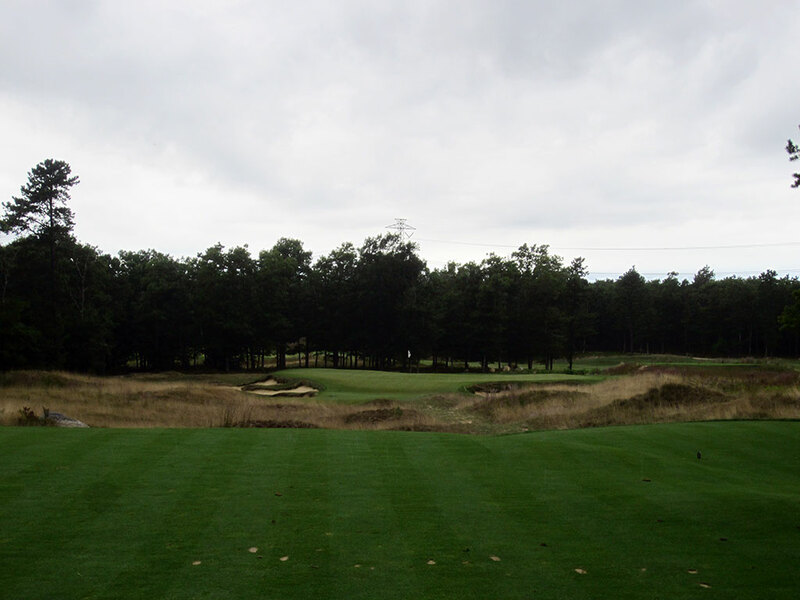 Best Par 4: 5th Hole – 336 Yards – I loved this hole! 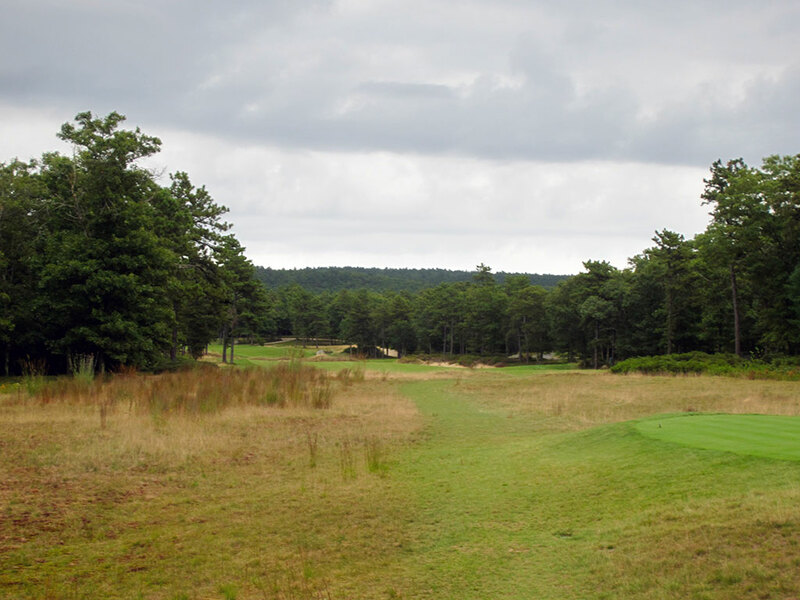 After carrying a chasm from the back tee, the fairway turns from right to the left all the way to the green where this chasm continues to carry along the left side of the fairway. The right side of the fairway is built up and will help keep balls in play that come in hot when selecting too conservative of a line off the tee. 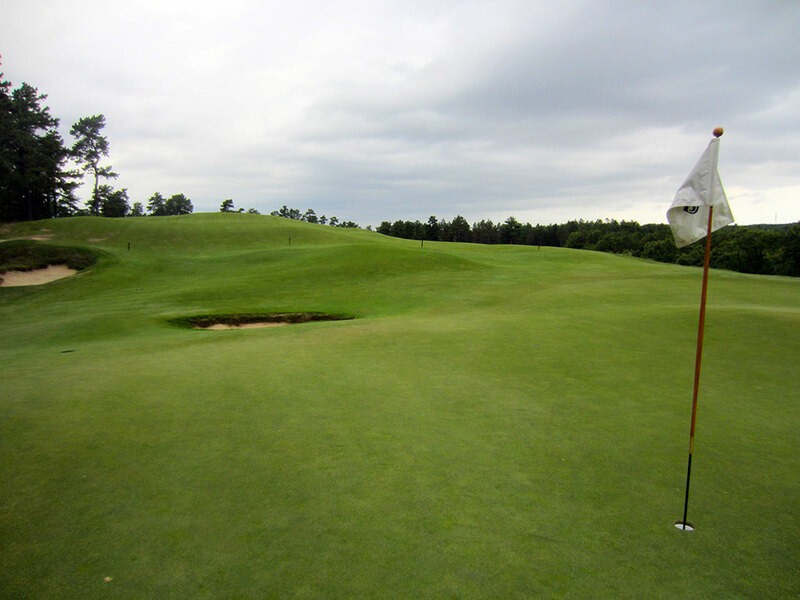 The fairway tumbles down quickly to a green that is fronted on the right side by a pair of small bunkers. Options are a major element that makes this hole great. What to hit off the tee, how much to challenge the chasm on the left, whether to fly the ball into the green or run it, etc. This hole will never get old to play! 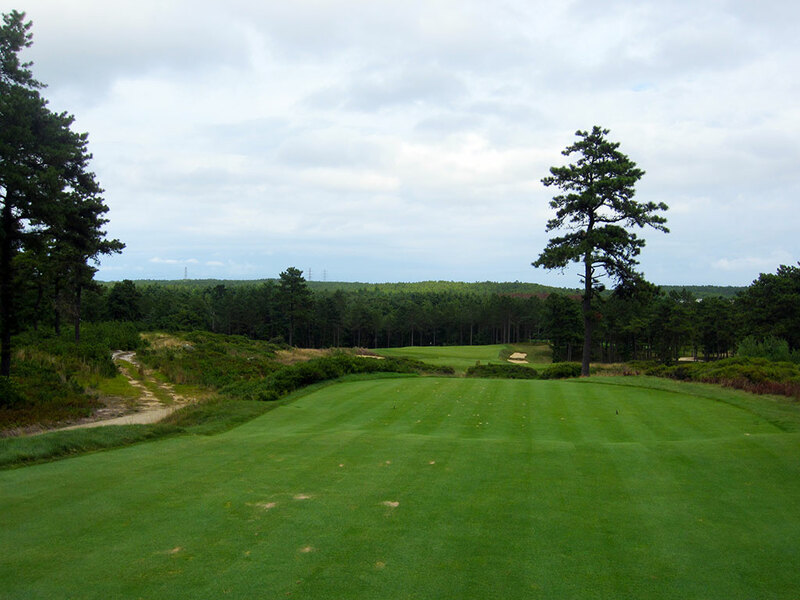 Best Par 5: 10th Hole – 516 Yards – A very reachable par five, the back nine starts off with a downhill hole that should give you an opportunity to get under par to start the back nine. A cross bunker bisects the fairway at an angle that allows for tee balls up the left side to get closer to the green without getting into trouble. If you maximize your tee shot then you'll be left with less than 200 yards into this domed green where the ground contours are a bigger issue to face than the limited bunkering. With the secluded setting, exciting downhill tee shot, and ability to score well, this is a fun way to kick off a great back nine. Birdie Time: 9th Hole – 131 Yard Par 3 – At a course that is over 6900 yards from the tips you don't expect to have a hole that is just 131 yards to take dead aim on. At this distance there should be little concern of the bunkering surrounding the green as you tee it up on your perfect lie and go pin seeking. A green in regulation here should be a virtual gimmie. 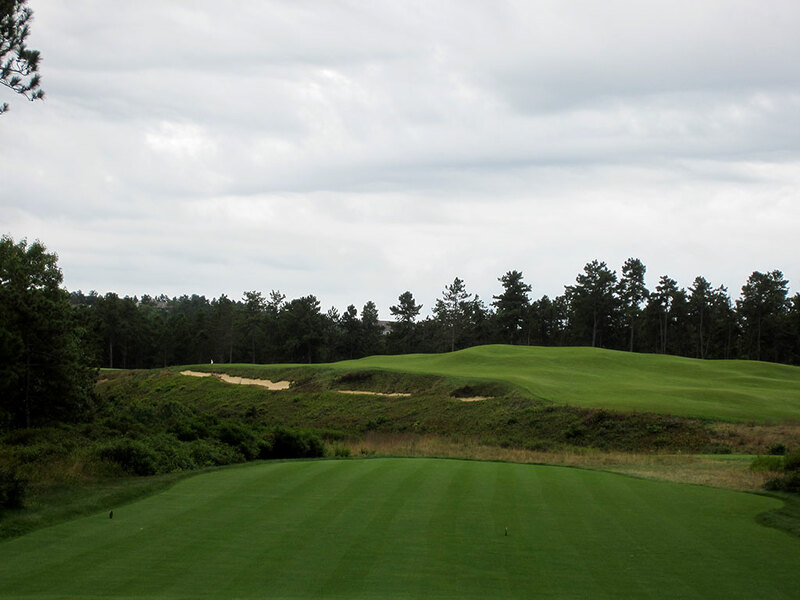 Bogey Beware: 18th Hole – 498 Yard Par 4 – Less than 20 yards shorter than the par five 10th, the finishing par four is a lengthy challenge that will separate the men from the boys and settle most matches. The tee shot plays to a raised fairway with the green well out of view. Upon reaching your tee ball, you are presented with an impressive view of the green sitting in the midst of a myriad of bunkers and gnarly grass while miles of tree tops act as the background. 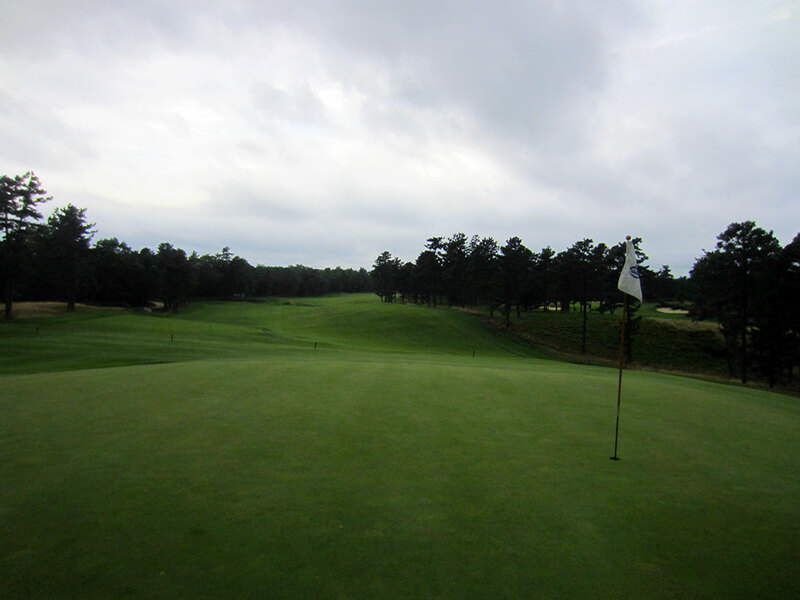 A big tee shot can catch the down slope of the fairway and pick up extra yards, but regardless, a precise approach shot is required on this finishing hole. 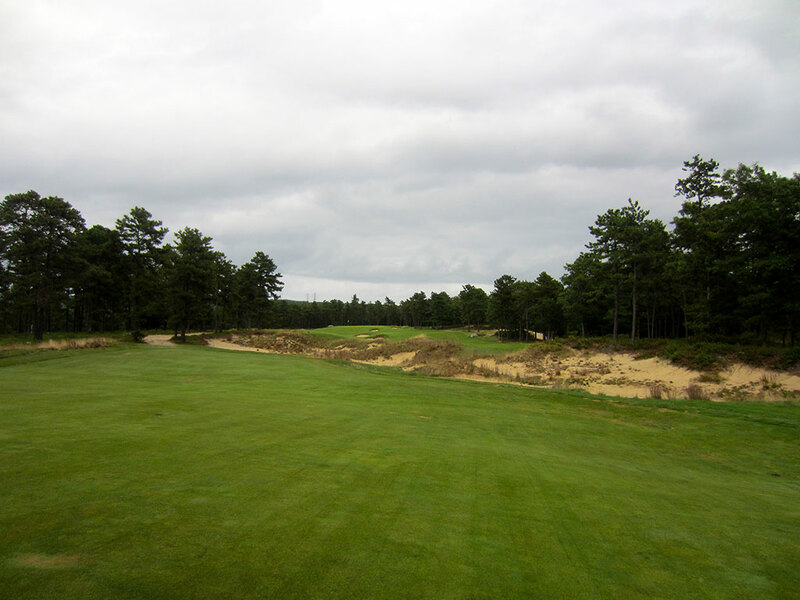 If you are teetering on a personal best round, Old Sandwich is going to make you earn it!